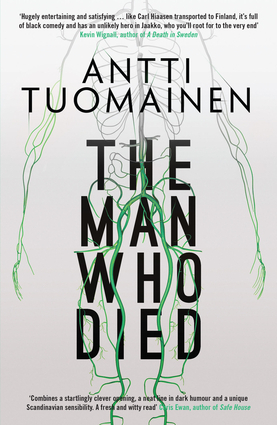 'Tuomainen probes the chilliest depths of noir comedy as he explores the question of what to do when loved ones suddenly become the enemy' Publishers Weekly 'Tuomainen is the funniest writer in Europe' Marcel Berlins, The Times A dark, page-turning thriller, brimming with black comedy, from the King of Helsinki Noir A successful entrepreneur in the mushroom industry, Jaakko Kaunismaa is a man in his prime. At just 37 years of age, he is shocked when his doctor tells him that he's dying. What is more, the cause is discovered to be prolonged exposure to toxins; in other words, someone has slowly but surely been poisoning him.